LONDON (AP) — British Prime Minister Theresa May praised the relationship between the Netherlands and Britain as she held talks Wednesday with the Dutch king and queen on the second day of a state visit. The Dutch king and queen are in the final day of a state visit hosted by Queen Elizabeth II in a bid to emphasize positive ties to Europe ahead of Britain’s planned departure from the European Union in March. Willem-Alexander told May their meeting indicates that Brexit not disrupt the two country’s long-standing ties. “It reinforces that whatever the future may bring, we will always be North Sea neighbors, always be allies (and) friends,” he said. 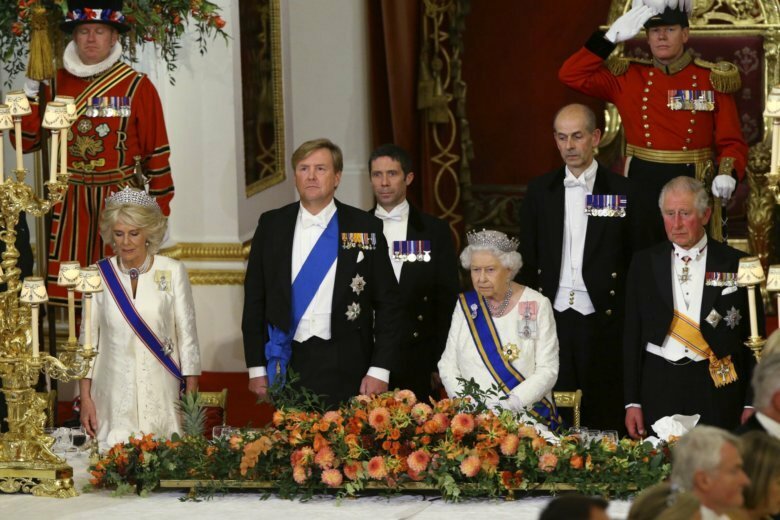 At a gala state banquet at Buckingham Palace on Tuesday night, Elizabeth and Willem-Alexander also emphasized that their countries’ strong bonds will persist after Brexit.